Audrey Stone is a Behavioral Aide at Building Blocks Center for Autism, a Division of Center for Pediatric Therapies located in Danville, Virginia. 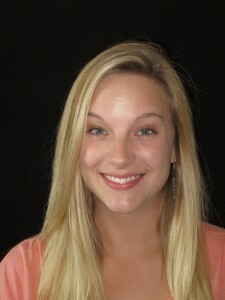 Audrey has been a part of the Building Blocks team since 2012. 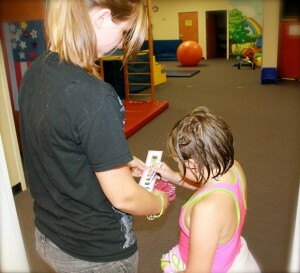 Since 1996, she been working with individuals with mental illnesses and learning disabilities. Audrey is a graduate of Chatham High School. In her spare time, Audrey enjoys traveling, spending time with friends and family and watching the Washington Redskins in action. Whitney Shields joined the team as the Administrative Assistant at Building Blocks Center for Children with Autism in the fall of 2013. 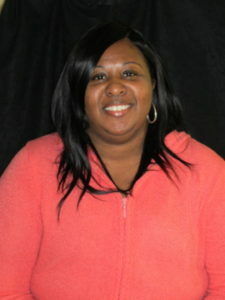 She works in the Building Blocks front office and also assists in the classroom. Whitney earned an Associates in General Education at Craven Community College in North Carolina. Whitney, along with her husband and daughter are just settling back into Danville, Virginia after her husband’s eight-year commitment to the USMC. Outside of work, she enjoys supporting the Washington Redskins and spending time with friends and family. The Center for Pediatric Therapies is now seeking applications for an Occupational Therapist to serve Danville, Virginia. The position will provide pediatric occupational therapy services in a variety of settings, including the home, day care, school, and our outpatient clinic(s). Qualified applicants must hold a degree in occupational therapy from an accredited school, and must be eligible for licensure as an occupational therapist in the Commonwealth of Virginia. 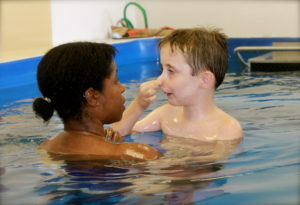 Swimming can have many benefits for children with autism, including developments in communication, sensory integration, social skills, time and task completion, and water safety. Not to mention, swimming is fun, so let’s dive right in! Children with autism can have delays in communication development. Building Blocks uses various augmentative and alternative communication tools to facilitate effective and efficient communication with our students. One example is providing each student with a daily schedule using symbols, instead of words. The vertical alignment of the symbols tells the student the order of events, while each symbol indicates an activity. From this schedule, the student knows her day will start at the lockers, followed by a bathroom break, and visit to the schedule board. Next, she’ll change into her bathing suit, then practice swimming at the indoor pool and outdoor pools. Then, she’ll change clothes and have lunch before going home. As the day progresses, the student checks off each activity as it is completed. We find that the symbol schedule is a great tool, but of course, expressive communication is also key throughout the day’s activities. Children with autism can have sensory integration issues. 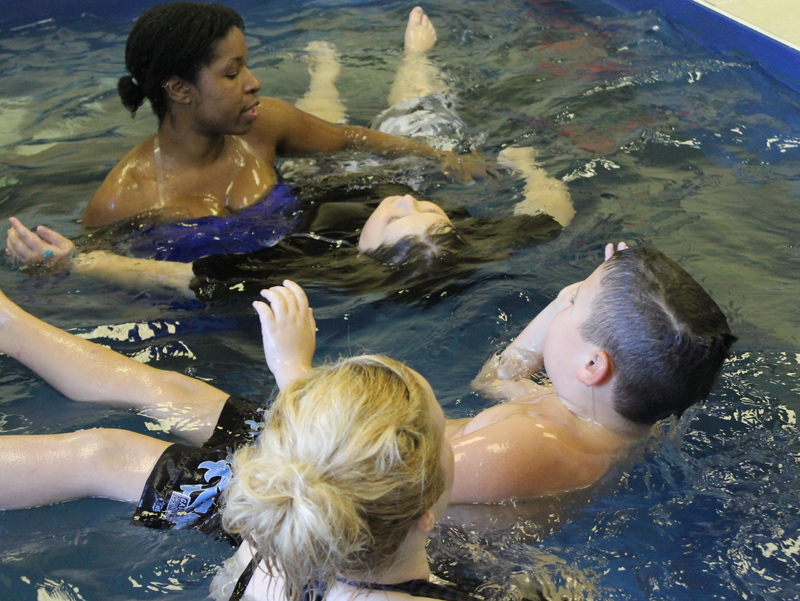 Swimming is a great opportunity to work on sensory integration using the texture and temperature of the water, light reflecting on the water, and sounds traveling around water. Children with autism can have social-interaction difficulties. Swimming provides an opportunity to improve upon social skills by facilitating interaction between the student and the other people in the pool. 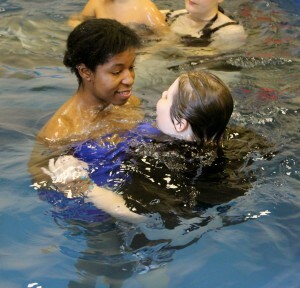 This might mean working with a staff member to practice floating, or sharing goggles with a classmate. 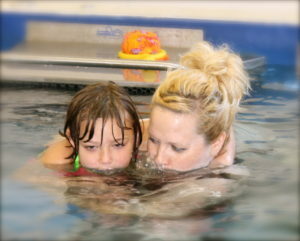 At the indoor pool, each student works one-on-one with one of our staff members to complete one or two lists of tasks. Based on how quickly the student completes each list, he is given time for free play in the pool. At the end of a set amount of time, he leaves the indoor pool and heads to the outside pools. The first list starts off basic, allowing the student to get used to the environment. First and second, the student is asked to touch water with his hands, then with his feet. Third, the student splashes the water with her hands. Fourth, the student splashes the water with his feet. Fifth, the student kicks his legs on the side of the pool. Sixth, the student gets his whole body in the water with an adult. Seventh, the student “kisses” the water. List 2 requires a bit more comfort in the water. First, the student blows bubbles. Second, the student lies on his belly in “the superman” position. Third, the student floats on his back in “the big belly” position. Fourth, the student kicks her legs while holding onto an adult. Fifth, the student kicks while holding onto a kickboard or noodle. Sixth, the student goes under water. Seventh, the student treads water. Water safety is always important, but this is especially true for children with autism because they do not always respond to verbal commands, and can be easily distracted. Through swimming practice, we hope to increase our students’ familiarity with water, swimming skills, and understanding of water safety. Note: Thank you to our students’ parents and legal guardians for giving us permission to use the photos above.